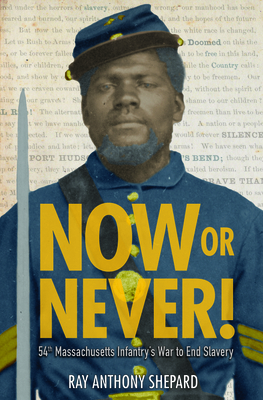 Here is the riveting dual biography of two little-known but extraordinary African-American Union soldiers in Civil War history—George E. Stephens and James Henry Gooding. Stephens and Gooding not only served in the Massachusetts 54th Infantry, the well-known black regiment, but were also war correspondents who published eyewitness reports of the battlefields. Their dispatches told the truth of their lives at camp, their intense training, and the dangers and tragedies on the battlefield. Like the other thousands of black soldiers in the regiment, they not only fought against the Confederacy and the inhumanity of slavery, but also against injustice in their own army. The regiment’s protest against unfair pay resulted in America’s first major civil rights victory—equal pay for African American soldiers. This fresh perspective on the Civil War includes an author’s note, timeline, bibliography, index and source notes.